Having to pick only seven of Australia’s best beaches is no easy task. Covering the length and breadth of the country, we’ve managed to narrow it down. All in the hope that it inspires you to get out your swimmers, dust off your snorkel, fill up your esky, and get out there this Australia Day to explore some of the amazing beaches our beautiful country has to offer. Here’s our top 7 beaches you could explore at your leisure if you won the lottery! This is the quintessential Australian beach. 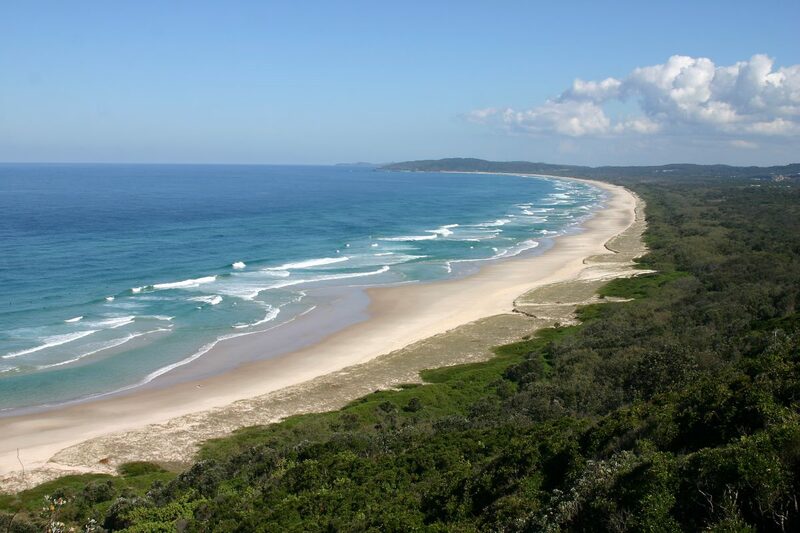 Located directly in front of the town, Main Beach is where it all happens in Byron Bay. Popular with young swimmers and families. The north-facing curve limits the wave height. This helps to provide calmer conditions for swimmers and snorkelers. Not to mention incredible sunsets! A couple of notable attractions include the iconic Byron Lighthouse. It sits on top of the headland and is a must do walk when in the area. And then there’s the Surf Club, opened in 1907. Did you know it’s the second oldest club north of Sydney? Alert! We’re taking the crown from Noosa this year as the best beach in Queensland! This quaint little beach resort can be found at the bottom of the Gold Coast near the New South Wales border. The headland offers has some great walking trails, that also have spectacular views for whale watching. Dining options are in abundance at Burleigh. Whether you opt for ocean-front fine dining or a funky cafe, the thriving restaurant and café scene has seen the town become a foodie’s favourite in recent years. If surfing’s your thing, there’s no better beach than Bells Beach in Victoria. It’s often the first stop on the Great Ocean Road as you leave Melbourne. It sets the bar for what’s to come. 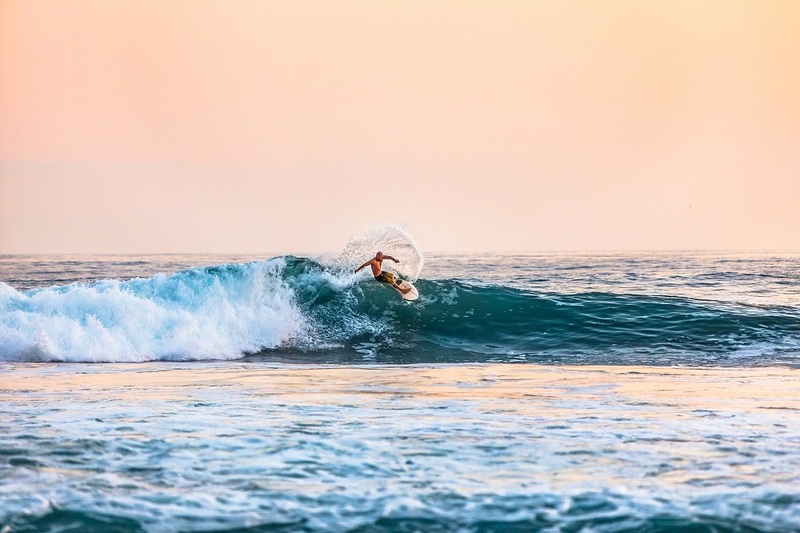 Home of Australia’s first and oldest pro surfing contest, the Rip Curl Pro. Every Easter, the world’s best surfers descend on Bells Beach to battle it out. All before putting on a show for the thousands of spectators that line the beach. No trip to Darwin is complete without a stop at Mindil Beach. 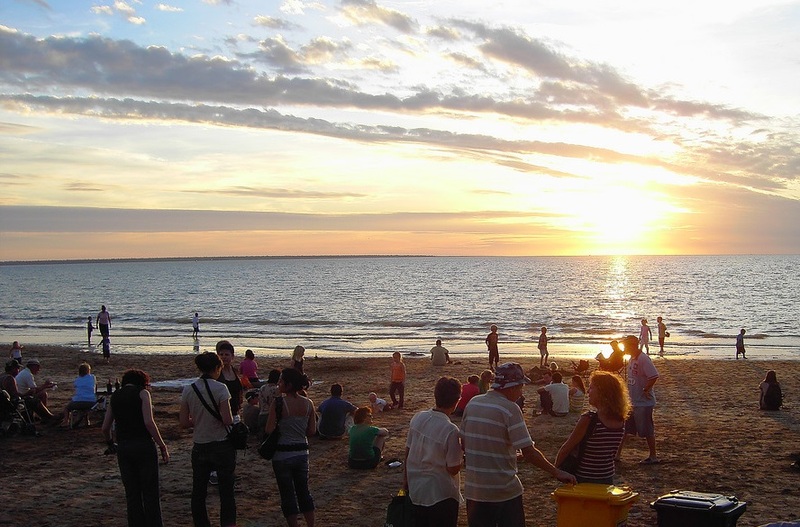 Specifically the Sunset markets every Thursday and Sunday as the sun goes down. You’ll find many locals gather en masse and bring chairs, tables, rugs and eskies. Food is the main attraction, with everything from Thai and Sri Lankan, to Greek and Portuguese and everything in between. You’ll also find stalls selling arts and crafts, handmade jewellery, and unique fashion. Plus there’s bands, buskers and even a fire show. 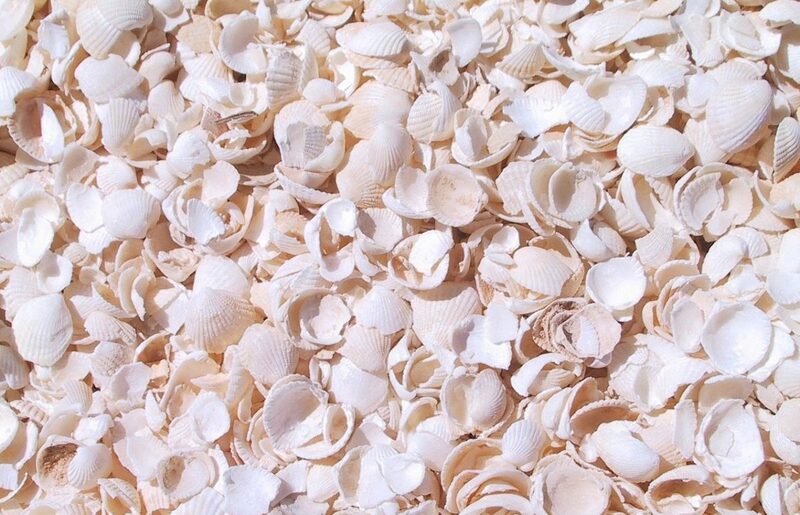 Located in Shark Bay world heritage area – Shell Beach consists entirely of little white cockle shells. Amazingly, the beautiful beach stretches for more than 100 kilometres. It is popular for swimming, beachcombing and relaxing in the year-round warm climate. A walk on Shell Beach is like no other. Incredibly, the beach is made up of shells from just one type of animal. It is one of only a handful of beaches on earth where shells replace sand in such a dramatic and unique way. It’s easy to see why Vivonne Bay was voted one of Australia’s top beaches. Its clear water, cleanliness and privacy lends itself to a variety of visitors including, swimmers, sunbathers, surfers, and fishermen. 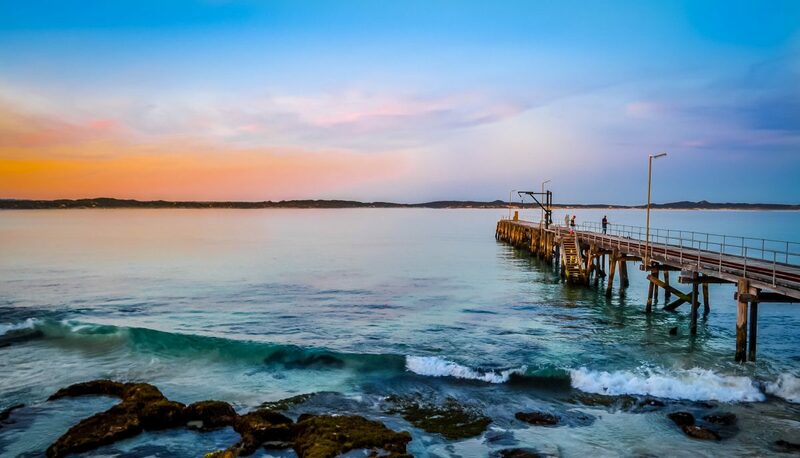 The 5km long beach is also renowned for its cray fishing, popular jetty, and the harbour is one of the safest along Kangaroo Island’s South Coast. To the southwest is the Vivonne Bay Conservation Park; an 887 hectare nature reserve, and to the east is the Seal Bay Conservation Park, home to the third largest sea lion colony in Australia. You’ll not be bored on a trip to Vivonne Bay. 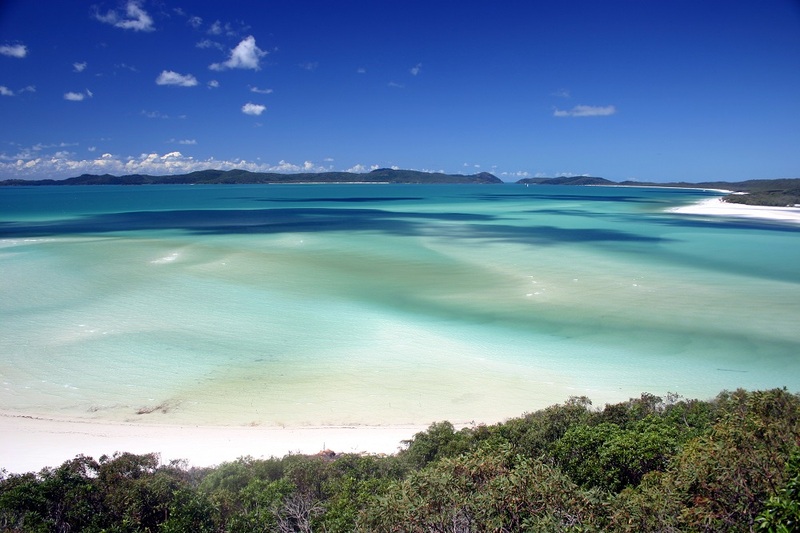 And saving the best for last, Whitehaven Beach is situated in the heart of the Great Barrier Reef and is one of the world’s most pristine and beautiful beaches. 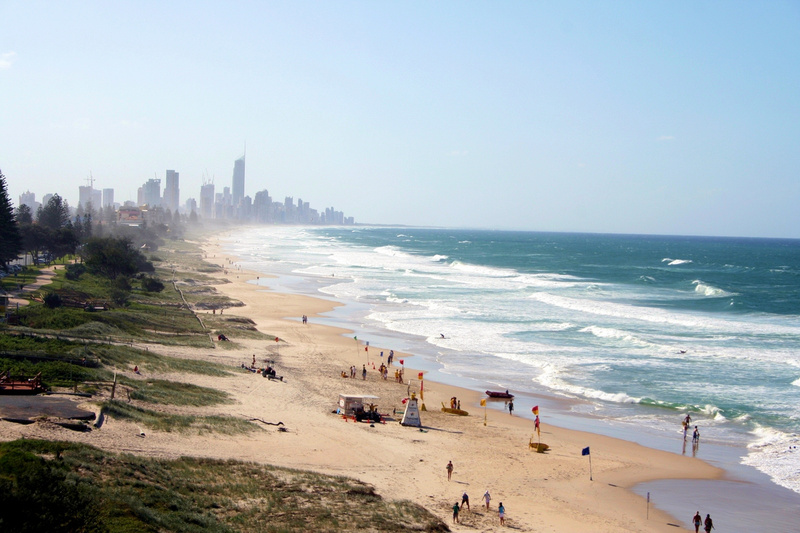 So it’s no surprise that It’s been voted the world’s most environmentally friendly beach, and Queensland’s cleanest. Stretching for 7 kilometres, the sand is 98 per cent pure white silica. That’s what gives it a brilliant luminescent colour. It truly does have to be seen to be believed. For your chance to win big, you’ll need to be in it to win it! Get your lottery tickets online now with Oz Lotteries. Win a $1.3 Million Coastal Prize Home!